To get a lucky fortune press the blinking scroll. To close the fortune/quote , press it. After you get your lucky fortune/quote you can share it via Facebook, E-mail or SMS. 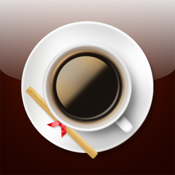 The 5 star reviews keep the application alive, so please write one if you like Coffee Fortune. For reviews, please visit our web site or Facebook Application Page.